Stylish or more traditional styles, here is our range of flat leather shoes handmade. Small leather ankle boot, with its indestructible mount sewn sandalette. Both stylish and comfortable, it is perfect for walking. His fat leather here in natural color, resists rain. Options: rubber outsole Airlite or Rug. Other colors, click HERE. 30% of increase beyond size 46 Shipping included to mainland France. Discover our slippers with their leather sole. This mix of moccasin and ballerina, very comfortable can dress any outfit. Presented here in natural full-grain calfskin. Options: Non-slip pads, beige color. Other colors, click here. Including shipping to mainland France. Small leather ankle boot, with its indestructible mount sewn sandalette. Both stylish and comfortable, it is perfect for walking. Options: rubber outsole Airlite or Rug. Other colors, click HERE.30% of increase beyond size 46. Shipping included to mainland France. Small leather ankle boot, with its indestructible mount sewn sandalette. Both stylish and comfortable, it is perfect for walking. His fat leather here in brown color, resists rain. Options: rubber outsole Airlite or Rug. Other colors, click HERE.30% of increase beyond size 46 Shipping included to mainland France. Customized model +30€ included. Customized models can not be returned nor exchanges except in case of shoe size error. Small leather ankle boot, with its indestructible mount sewn sandalette. Both stylish and comfortable, it is perfect for walking. His fat leather here in bordeaux color, resists rain. Options: rubber outsole Airlite or Rug. A leather shoe with irresistibly retro look, full of charm, solid and comfortableCrepe soles (natural rubber), Airlite elastomer or leather (on request). Wide range of colors available as an option.Shipping included to France. Small leather ankle boot, with its indestructible mount sewn sandalette. Both stylish and comfortable, it is perfect for walking. Its waxed split leather, resists rain. Options: rubber outsole Airlite or Rug. Other colors, click HERE.30% of increase beyond size 46 Shipping included to mainland France. Customized model +30€ included. Customized models can not be returned nor exchanges except in case of shoe size error. Small leather ankle boot, with its indestructible mount sewn sandalette. 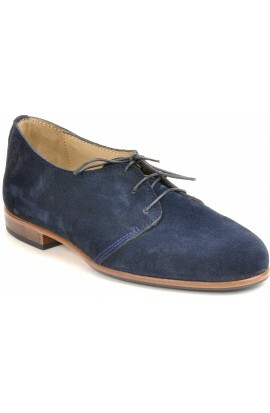 Both stylish and comfortable, it is perfect for walking particularly with this very supple rost suede. Customized model +30€ included. Customized models can not be returned nor exchanges except in case of shoe size error. Small leather ankle boot, with its indestructible mount sewn sandalette. 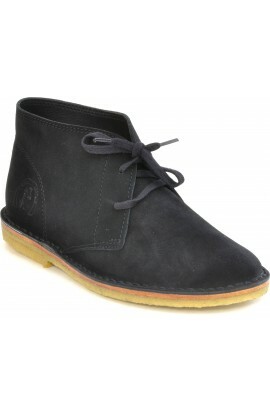 Both stylish and comfortable, it is perfect for walking particularly with this very supple black suede. Customized model +30€ included. Customized models can not be returned nor exchanges except in case of shoe size error. 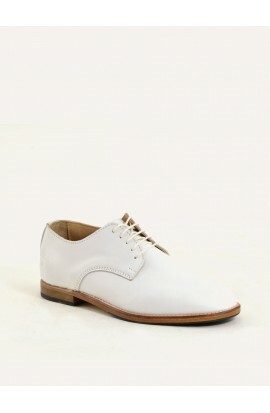 Low shoe leather elegant, comfortable and perfect fit with his zipper. Presented here in a black sequined leather that brings a touch of originality. Non-slip pads included. Customized model +30€ included. Customized models can not be returned nor exchanges except in case of shoe size error. Low shoe leather elegant, comfortable and perfect fit with his zipper. Presented here in a taupesequined leather that brings a touch of originality. Non-slip pads included. Shipping included to mainland France. Low shoe leather, comfortable and perfect fit with his zipper. Very elegant, in this supple natural full grain leather, of high quality, it will give you complete satisfaction. Non-slip pads included. Shipping included to mainland France. Picture no contractual. Low shoe leather, comfortable and perfect fit with his zipper. Very elegant, in this supple black full grain leather, of high quality, it will give you complete satisfaction. Non-slip pads included. Shipping included to mainland France. Customized model +30€ included. Customized models can not be returned nor exchanges except in case of shoe size error. To custom your shoes with another color choose a standard model and customization option. Low shoe leather elegant, comfortable and perfect fit with his zipper. Presented here in a grey sequined leather that brings a touch of originality. Customized model +30€ included. Customized models can not be returned nor exchanges except in case of shoe size error. To custom your shoes choose a standard model and customization option. Low shoe leather, very comfortable and perfect fit with his zipper. Presented here in a taupe suede leather that adds to its elegance. Low shoe leather, very comfortable and perfect fit with his zipper. Presented here in a olive suede leather that adds to its elegance. Non-slip pads included. Shipping included to mainland France. Customized model +30€ included. Customized models can not be returned nor exchanges except in case of shoe size error. To custom your shoes with another color choose a standard model and customization option. Low shoe leather, very comfortable and perfect fit with his zipper. Presented here in a rost suede leather that adds to its elegance. Discover our slippers with their leather sole. This mix of moccasin and ballerina, very comfortable can dress any outfit. Presented here in black full-grain calfskin. Options: Non-slip pads, beige color. Other colors, click here. Including shipping to mainland France. Discover our slippers with their leather sole. This mix of moccasin and ballerina, very comfortable can dress any outfit. Presented here in taupe suede. Options: Non-slip pads, beige color. Customized model +30€ included Customized models can not be returned nor exchanges except in case of shoe size error. Discover our slippers with their leather sole. This mix of moccasin and ballerina, very comfortable can dress any outfit. Presented here in green suede. Options: Non-slip pads, beige color. Including shipping to mainland France. Customized model +30€ included Customized models can not be returned nor exchanges except in case of shoe size error. Discover our slippers with their leather sole. This mix of moccasin and ballerina, very comfortable can dress any outfit. Presented here in squirrel suede. Options: Non-slip pads, beige color. Customized model +30€ included. Customized models can not be returned nor exchanges except in case of shoe size error. Discover our slippers with their leather sole. This mix of moccasin and ballerina, very comfortable can dress any outfit. 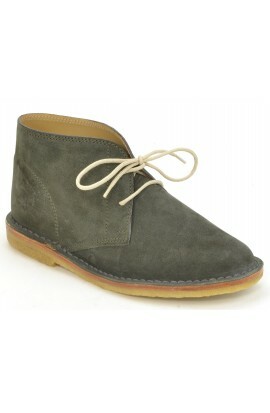 Presented here in rost suede. Options: Non-slip pads, beige color. Other colors, click here. Customized model +30€ included. Customized models can not be returned nor exchanges except in case of shoe size error. Discover our slippers with their leather sole. This mix of moccasin and ballerina, very comfortable can dress any outfit. Presented here in glittery calf suede star gold. Customized model +30€ included Customized models can not be returned nor exchanges except in case of shoe size error. Discover our slippers with their leather sole. This mix of moccasin and ballerina, very comfortable can dress any outfit. Presented here in glittery calf suede star silver. Options: Non-slip pads, beige color. Customized model +30€ included Customized models can not be returned nor exchanges except in case of shoe size error. Discover our slippers with their leather sole. This mix of moccasin and ballerina, very comfortable can dress any outfit. Presented here in leather imitation zebra, larger than life. Options: Non-slip pads, beige color. 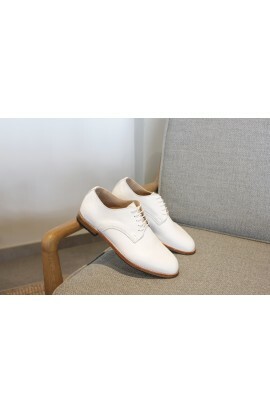 Casual but refined our "sneaker" will accompany you throughout the summer. At the beach or in the evening this model is at ease on any terrain.. Discover our slippers with their leather sole. This mix of moccasin and ballerina, very comfortable can dress any outfit. Presented here in black calf. Black non-slip pads included (non-binding photo). Small leather ankle boot, with its indestructible mount sewn sandalette. 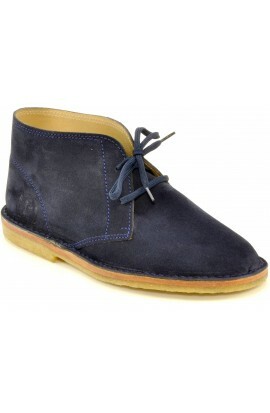 Both stylish and comfortable, it is perfect for walking particularly with this very supple rost suede. Options: rubber outsole Airlite or Rug. Other colors, click HERE.30% of increase beyond size 46. Shipping included to mainland France. 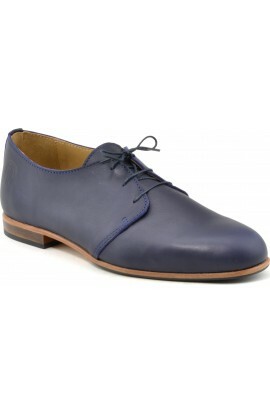 This is a very nice shoe, rounded form but adjusted, our classical derby with an outsole little bit more thin. Low shoe leather, comfortable and perfect fit with his zipper. Very elegant, in this supple natural full grain leather, of high quality, it will give you complete satisfaction. Non-slip pads included. Shipping included to mainland France.